It depends on the culture, status of life (family) and the flow of the story. For example, the anime series of "Ikoku Meiro No Croisee" is used to have most character's blonde hair because the main story is that people lived in Paris. Some of the authors preferred to reflect it in the reality. Honestly, Asian people just have a fascination with blond hair. I once went on group trip that visited China, Japan, and Korea. We had this one blond haired girl in our group and she was basically the center of attention. Everywhere we went, everyone wanted to take pictures with her. Natives of their respective countries would randomly come up and ask for a picture together with her. It was interesting because they didn't ask to take any pictures with the brunette. And by seeing their lifestyles, one could see that they also try very hard to understand and imitate western culture. They probably see or even sterotype blond hair people as the best of the western pop culture. This is also probably why dying their hair blond is the second most popular dye (after orange). Given that Asian people seem to adore blond hair, it would also make sense for blond hair to be common in Anime, as Anime is a reflection on the author's ideal story. Japanese with albinism actually have blonde hair and blue eyes. Unlike the west where people are considered better looking who have a tan; in Japan whiter skin is considered pretty. Due to this Albino people are considered a rare beauty by most. Because they are such a rarity and the cultural association with the idea of "Karma," it has been suggested that if you are Albino, you must have very good Karma. Anime just takes this concept to a new level. Due some research and you'll find some information on the subject. It is hard though to find good sites in English. A lot of Japanese find blond hair exotic and attractive. 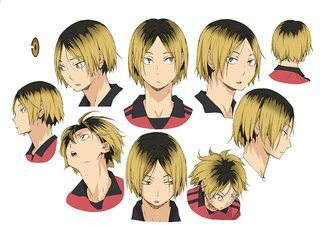 Because of this, many characters will have bleached hair (like the japanese sometimes do) or have fully blonde sets of hair. Why do many anime include pocket watches in them?